RECORD TIME: Brown University researchers have published a study showing that electronic health records are more stressful for physicians than they are helpful. 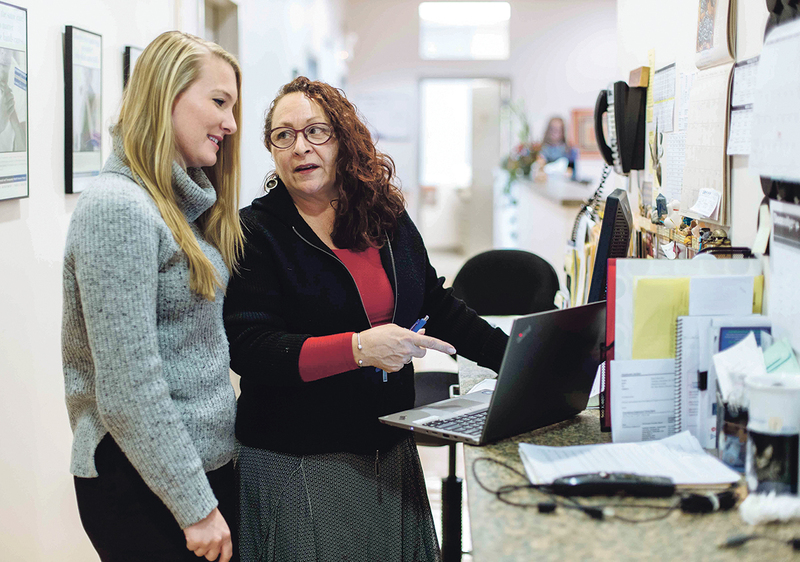 At Coastal Medical, practice nurses, such as Margaret Hatzpanian, right, now handle most clinical documents and administrative tasks previously handled by doctors. At left is Stephanie Nunes, nurse practioner.